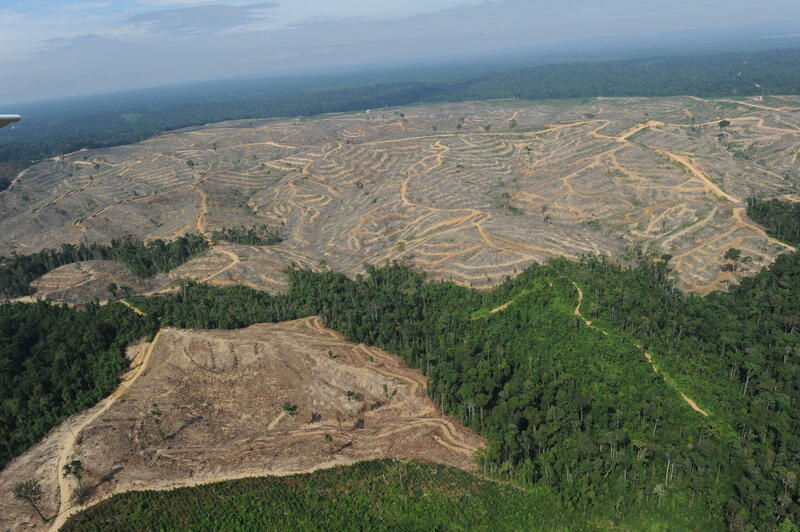 This photo shows a heavily logged concession affiliated with Asia Pulp and Paper, or APP, one of the world’s largest papermakers, on the Indonesian island of Sumatra. The most recent estimates of orangutan population sizes and distributions can be found at the IUCN Red List of Threatened Species Website. The IUCN Red List assessments show that approximately 14,600 Sumatran orangutans (Pongo abelii) remain in the wild. The Bornean orangutan (Pongo pygmaeus) populated is estimated to be about 104,700 individuals. Due to substantial orangutan habitat loss on both islands, it is probable that current numbers on both islands are actually below those given on the IUCN Red List. 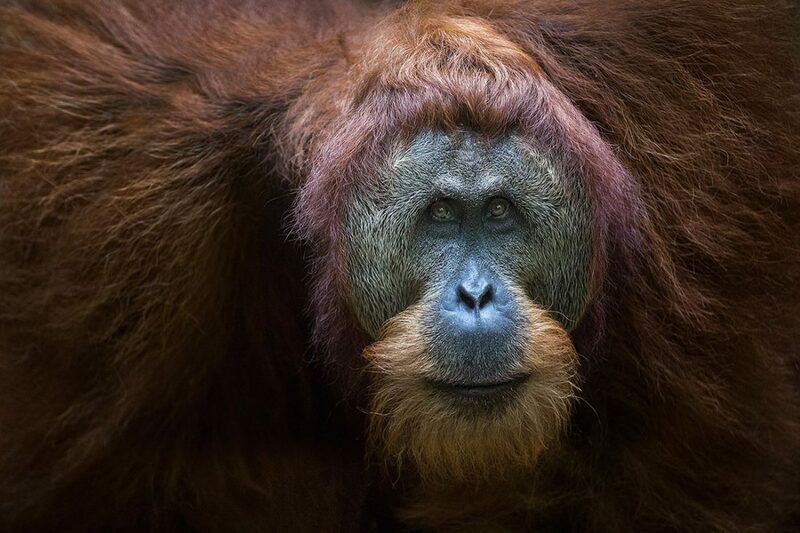 Approximately 2,000-3,000 Bornean orangtuans were killed every year in the past four decades alone, representing a loss of more than 50% of the original population in just 40 years. At this rate of killing, orangutan populations could be reduced to extinction in the next 50 years.